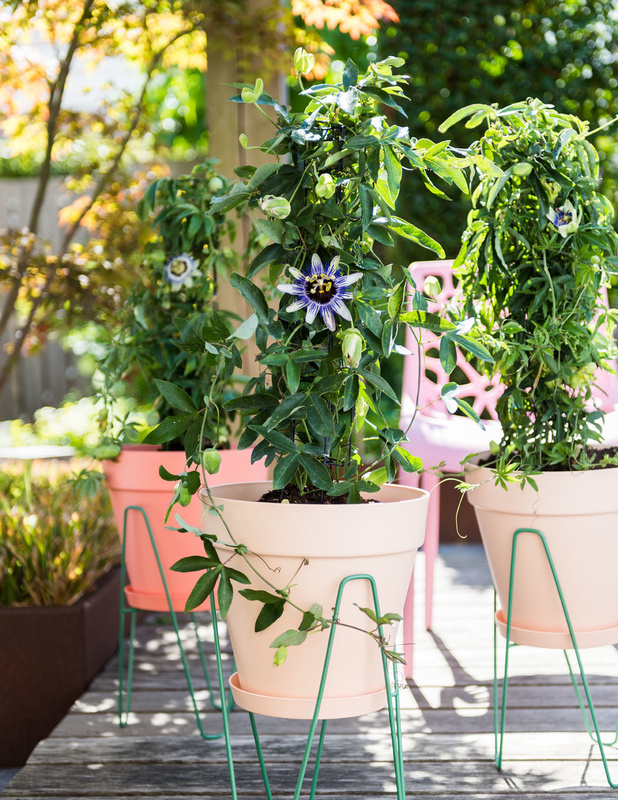 The radiant centrepiece on your patio this summer is the passionflower, with fairytale flowers and delectable green tendrils that climb upwards with the aid of corkscrew curls. 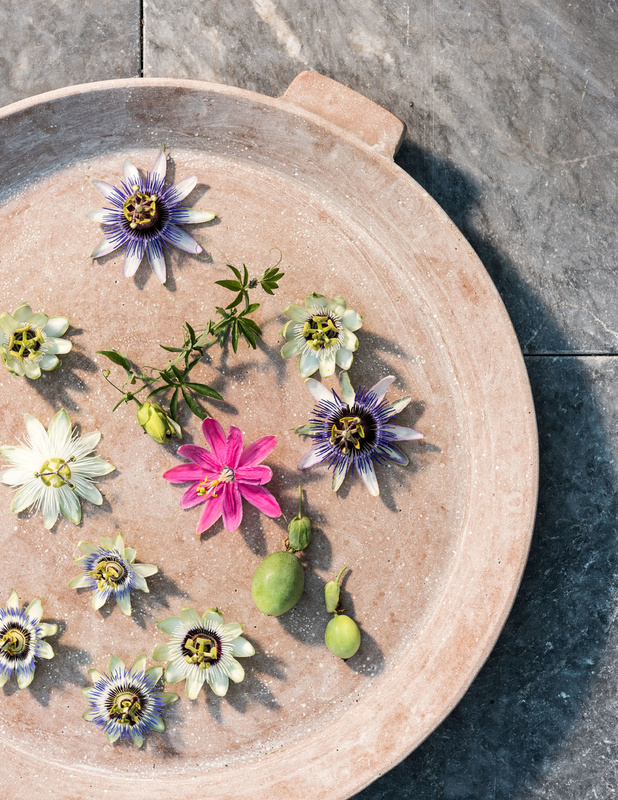 There are no words to describe the beauty of the passionflower. Colours from fiery to serene. Fabulous stamens above a heart full of frills. Flowers shaped like stars. Lots of green leaves and comical spirals with which the tendrils grip onto wires, fencing or a pergola. 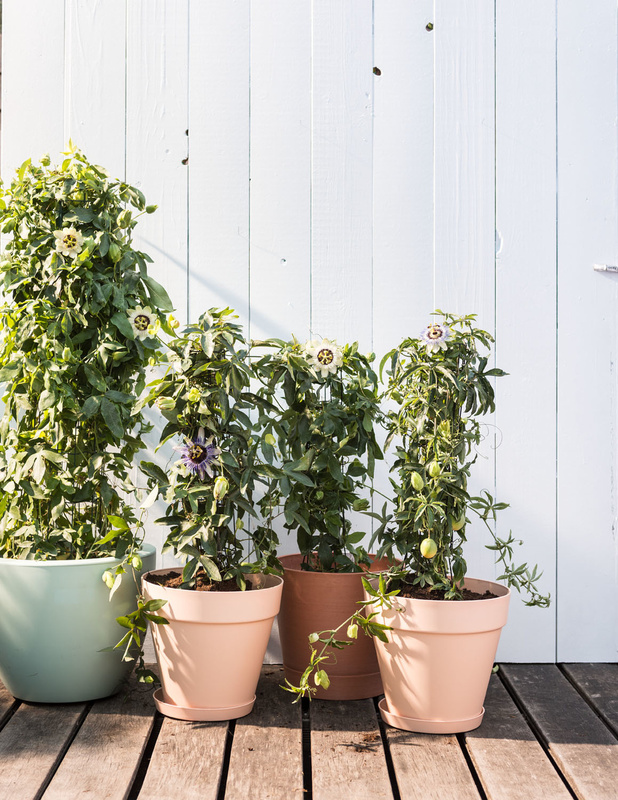 These climbers are ideal for providing lots of colour and delight in a small area. 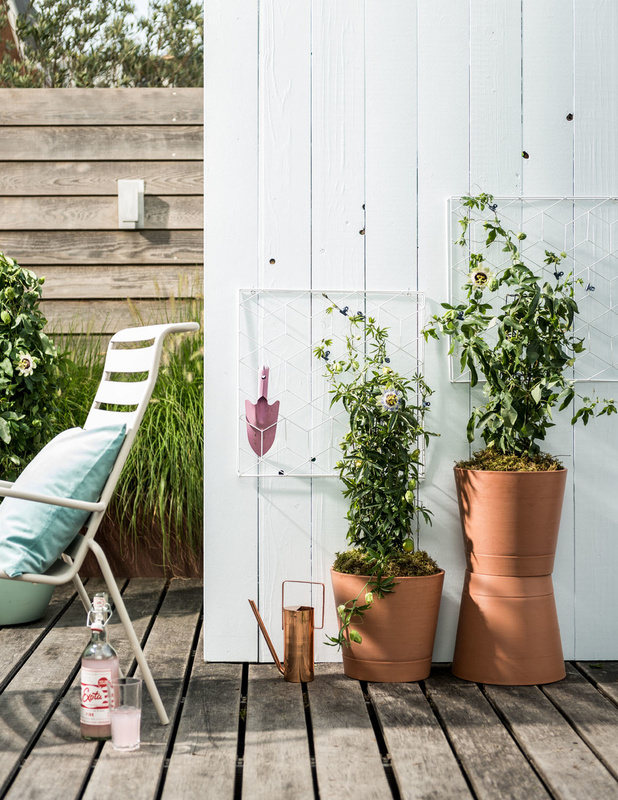 Passionflower (scientific name: Passiflora) can climb up a pergola, post, wall or shed and thus provide a natural backdrop on the patio whilst simply being planted in a pot. 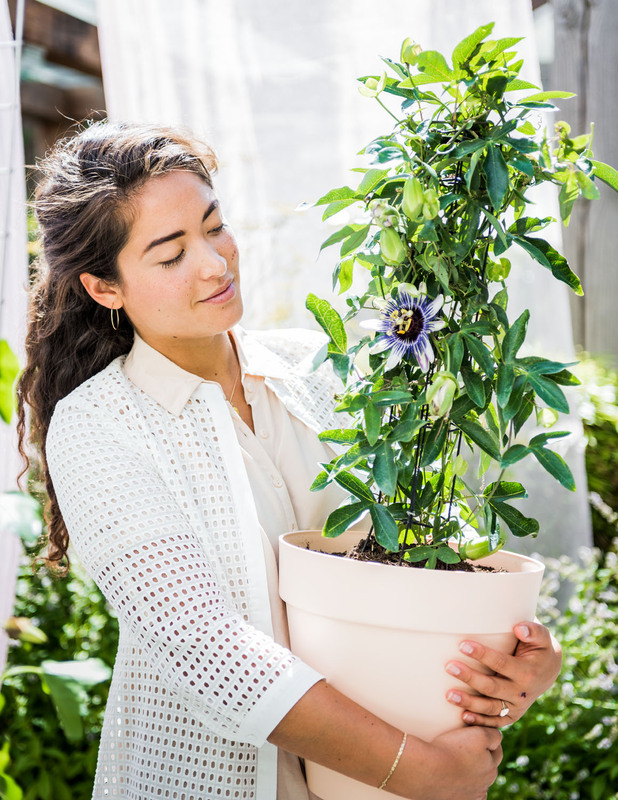 The passionflower’s nonchalant, climbing growth habit fits well with the pure nature garden trend that calls for a healthy dose of wilderness. The plant flowers all summer long until well into the autumn. Some species even bear edible passionfruit after a good hot summer. All this patio plant needs to be able to thrive is a sturdy pot, something to climb against and a sunny spot. Most species of passionflower originate from the tropical and subtropical part of North and Latin America, Asia and Australia, where the plants grow in the woods and rainforests, using trees and bushes as a support to be able to climb towards the light. There are some 500 known species of passionflower. In addition to shades of blue and purple, the plant also comes with red, orange, yellow and white flowers. There are also deciduous and evergreen species. Some are more hardy than others. The most common species is Passiflora caerulea, which can cope reasonably well with cold. • Important aspects are the pot size, the number of stems per plant or pot, the height and the shape of the plant. 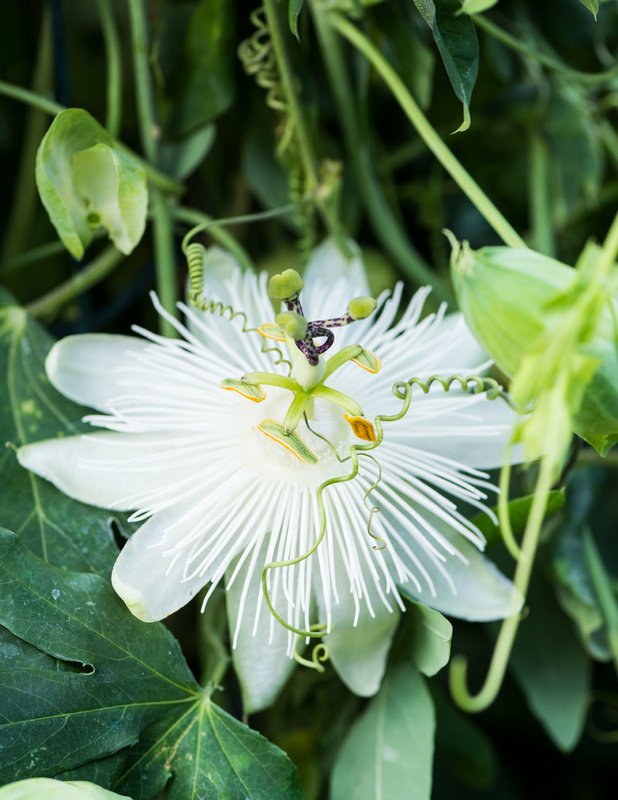 Passionflower is offered in various shapes: in arches, columns, pyramids and along frames in trained forms. • Also pay attention to the stage of flowering. Sometimes the plants are still entirely in bud, and sometimes they are offered with flowers. A plant that is already showing some colour is usually most appealing to customers. • Passionflower is not particularly prone to pests and diseases. In the cooler months check that no there’s no serious mildew, mealybug or red spider mite present. 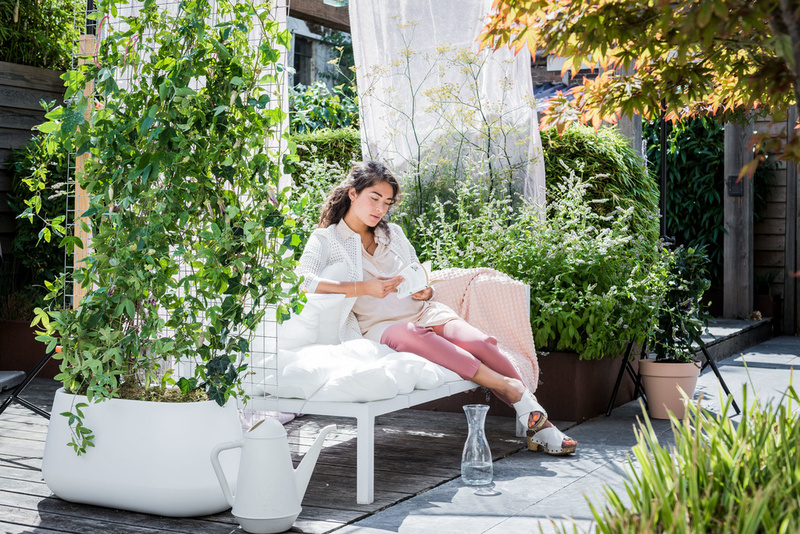 Display the patio plant in various shapes and colours, preferably in a patio setting with a bench and some attractive pots. Offering the plant ready-to-go complete with pot increases the ‘just buy and place’ convenience for the customer. Also include aids for guiding the tendrils such as frames, stakes and wire in the display. 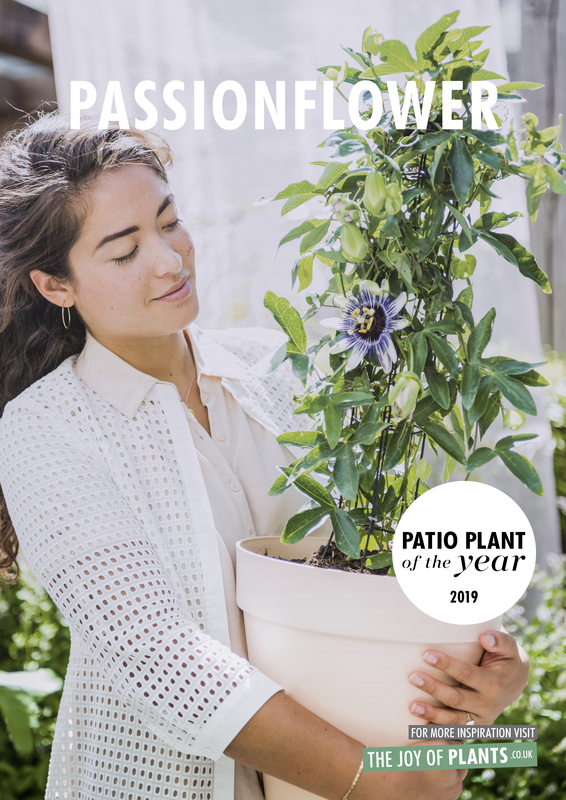 Because passionflower is often still in bud, the promotional material that can be downloaded below can serve as an inspiring backdrop in order to give a picture of the glory of the plant in bloom. • Passionflower can be placed in both full sun and shade. • Make sure that the roots are kept cool. A deep pot helps, as does covering the soil with a roof tile or attractive stones or shells. 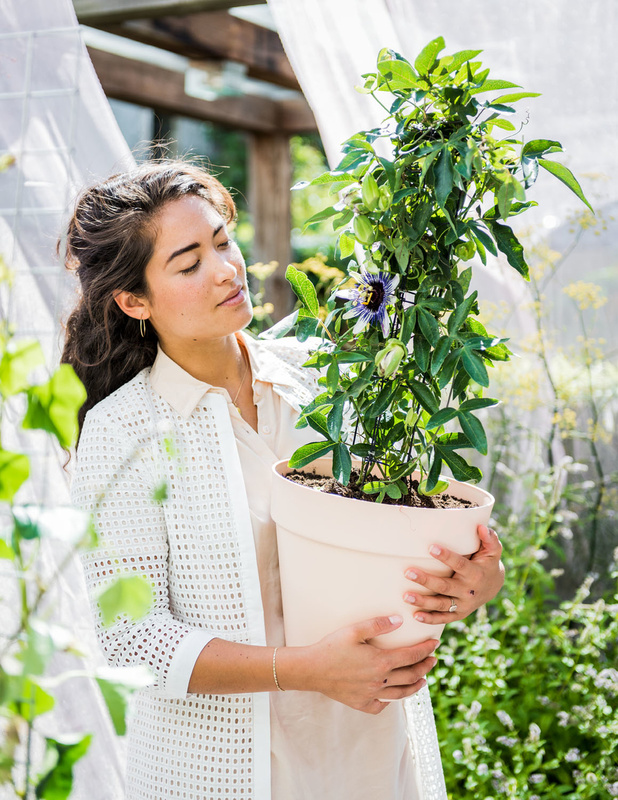 • Provide something that the plant can climb up: a sturdy wire, a wall, a pergola. • Give plenty of water (the soil should not be allowed dry out), but ensure good drainage in the pot. • A bit of plant food once a month keeps the flowering going.